You are here: Home / Giveaway / Paul Blart Mall Cop 2, When Duty Calls, Blart Answers Plus Giveaway! I love a good comedy and our wild Friday nights consist of take-out, cold drinks and watching a great movie in bed. The funnier and cheesier the better! If you are familiar with Kevin James you know how hilarious he is. We watched Paul Blart Mall Cop and it was funny, there were some moments that had us crying. This movie was no different! If you love cheesy humor and some crazy, out of this world circumstances. This is the film for you. 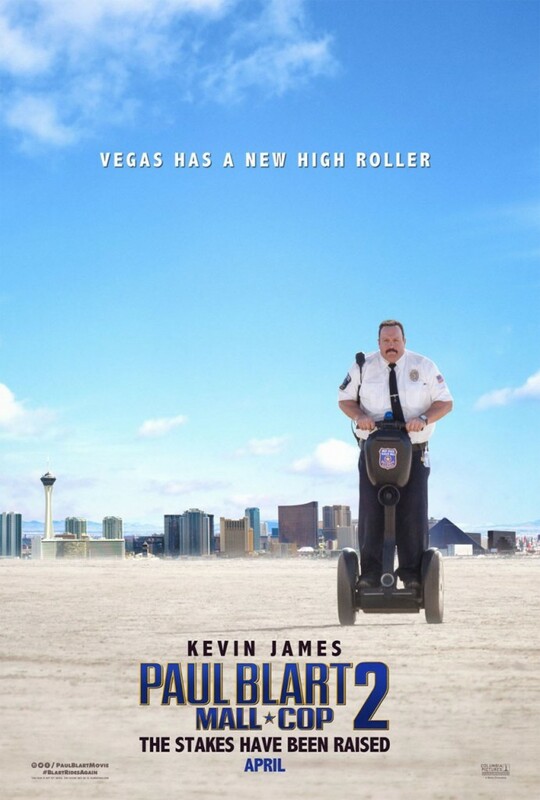 We join Paul Blart after he’s been through divorce and is looking to step forward in his life. His daughter has grown and is starting to find her way in the world. In their journey towards their future, they find themselves in Vegas. It wouldn’t be Paul Blart if he didn’t find himself in hot water and of course, he steps up to the plate and saves the day. It’s the way he does it that causes you to laugh. This film may not be everyone’s cup of tea but, we sure enjoyed it at home. This giveaway opens on August 21st, 2015 and ends on September 4th, 2015. 5 lucky Whispered Inspirations readers will WIN 1 of 3 Paul Blart Mall Cop 2 DVD’s and 1 of 2 Paul Blart Mall Cop 2 Blu-Ray DVD’s! Like I said, I love them cheesy and I do love Kevin James. He is hilarious and I can’t believe the things he does with his body! For more information about the movie, head over to Paul Blart Mall Cop 2 for full synopsis. Who would you watch this film with? My lovely wife of course. I'd watch this movie with my teenager. I like that this movie is "clean" humor in my opinion. Not many movies like it out there. I'd watch this with my hubby and my daughter! My son loved the first movie. We’d watch this together! My kids. They loved the first one! My Aunty Rose loves Paul Blart movies so, I would watch these with her, for sure! I’d watch it with my dad! I'd watch it with mom. I would watch it with my mother. She likes Kevin James. I'd watch with my three kids. My brother :). We don't get together much anymore because one of us is always busy, but I always enjoy watching a good comedy with him! I'd watch it with my son. He loved the first one. I would be watching this movie with my son and daughter. I would watch this movie with my hubby on our weekend movie night. I'd watch this movie with my sister. I would watch this with the whole family. I would watch it with my grandson , he would love it. I would watch this with my family!!! We would love to win, thanks so much for the chance! I would watch this movie with my oldest daughter and son in law next time they visited. Either of my teens they both love comedy and the first movie. .
My older grandchildren would enjoy watching this with me. My nephews would love to watch this movie with me. My cousin would watch this with me. I would watch it with my niece and nephew. I *love* Kevin James & have seen him do stand-up live & have a nice collection of his DVDs. My husband & I saw Paul Blart 2 in theaters when it first came out, & would love to add it to our shelf. Such a funny movie with a good message, they don’t make them like that much anymore! I would like to watch with my mom. I'd watch this with my husband. 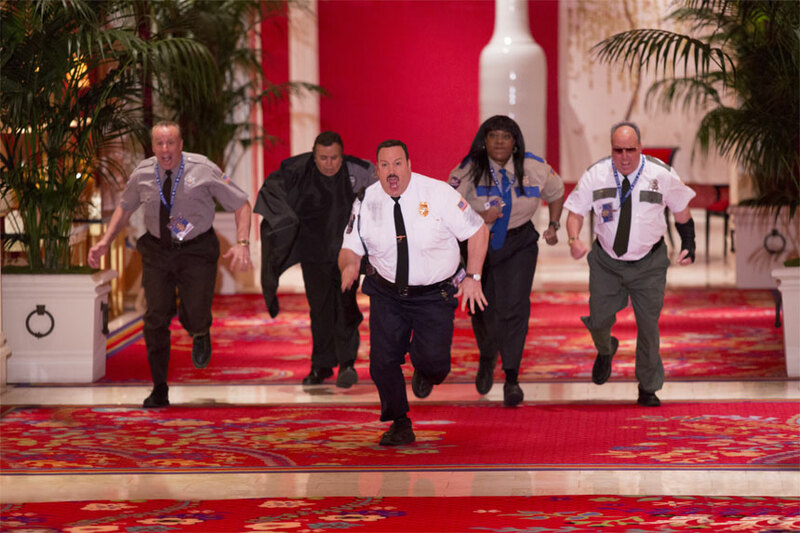 We are huge fans of Kevin James…and Vegas! Haha. I would watch this movie with my Dad.